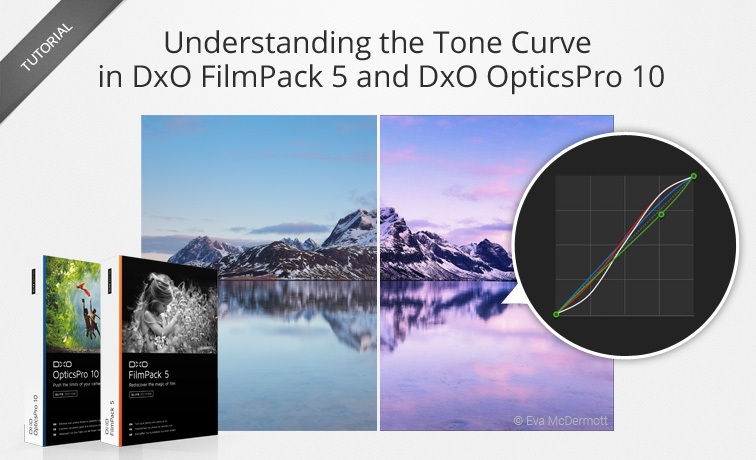 In this tutorial, we will introduce you to the Tone Curve tool in the standalone application version of DxO FilmPack 5, also available in the DxO OpticsPro 10 interface. You will discover how to use this powerful tool to adjust the luminosity and the colors in your photos, and how to use it to obtain specific renderings for images in black & white. For purposes of this tutorial, we will be concentrating on this tool as it is used in the standalone application version of DxO FilmPack 5. The Tone Curve is a very powerful tool that, once its operating principles are understood, is indispensable for developing photos. 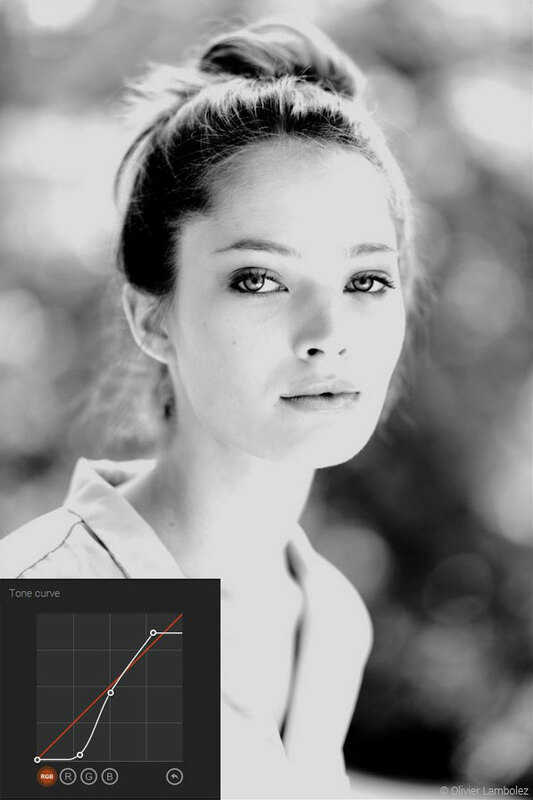 If you follow this tutorial with DxO OpticsPro, Essential or Elite editions, the Tone Curve tool presents a few ergonomic differences with respect to its function in the standalone application version of DxO FilmPack 5, in that, notably, a Gamma settings slider is available, which is not discussed here. However, the operational principles and uses are otherwise the same. 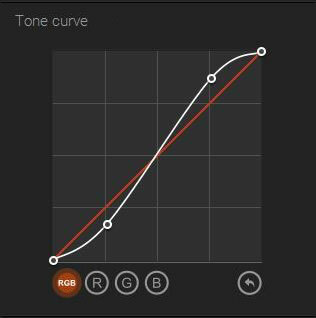 The Tone Curve acts precisely on the tones of the image in specific areas; the horizontal axis represents the current tones in the image, while the vertical access indicates the tones that result after correction. The dark tones are on the left, and light tones are on the right, and the horizontal division corresponds to that found in the histogram. The default curve is the diagonal of the square representing the tool, as each color is “converted” by itself. In the histogram, the point at the extreme left is called the “black point,” and thus constitutes the darkest point in the image. At the other extreme, the lightest point is called the “white point.” Setting these two points gives the image its dynamic, and balancing them determines the overall luminosity and contrast in your photo. The Tone Curve will help you handle these settings. 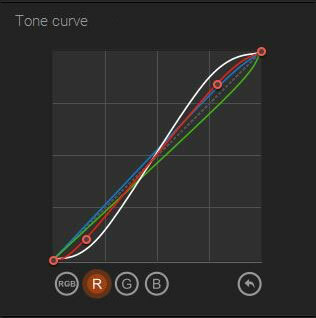 The principle of the Tone Curve tool is to manually move one or more points of the curve that correspond to the different tones to correct (or to make more or less luminous). 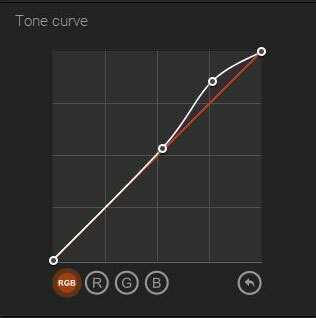 Click on the curve and move the point upwards to make the tone more luminous, and move it downwards to darken the areas whose tones correspond to those of the horizontal axis. Let’s take a look at a few “extreme” uses that will illustrate how this tool works. Set the black point on the bottom left of the tool by moving it upwards; this will lighten the darkest tones areas. Note that the left side of the histogram has shifted toward the right; regardless of the setting that you apply afterwards, you cannot make the histogram move back toward the left without moving the black point back down. Similarly, move the white point down to darken the lightest areas. The behavior of the histogram is therefore similar to the right part, which corresponds to the light areas. If you move the black point upwards, you will obtain a uniformly white image; you will obtain a black photo by lowering the white point all the way to the bottom. Finally, a last and extreme case: reversing the right side in the tool. You obtain a perfect negative; if you digitize a negative, you will then have to convert it into a positive (such as a slide). In the last case presented, all the exposure functions are reversed; to brighten your photo, you will have to move the exposure slider to the left, and vice-versa. 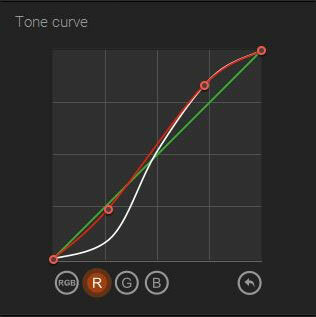 The preceding examples involve the luminance channel — that is, the curve acts in the same way on all of the three Red, Green, and Blue channels; the Tone Curve tool lets you make corrections for each of these three channels separately. To do so, select the channel that you want to adjust (in this case, for example, the Red channel). The operating principle is the same, but instead of adjusting the luminosity of each tone, you will be acting on the “quantity of color” for each tone. This generates a red toning for the dark tones. In the same way as the Tone Curve, the histogram can display each color channel; each modified corresponding channel behaves in exactly the same way as the luminance channel, and in this example, it is shifted toward the right for the dark areas. Return to your photo and lower the upper right point for the Red channel. The amount of red is reduced in the light areas, allowing for the complementary colors (the Blue and the Green) to become dominant; in our example in which the blue dominates, we have a corresponding color toning in the light areas. So far, we have seen how the (generally extreme) settings work on the curve by using just a single point. 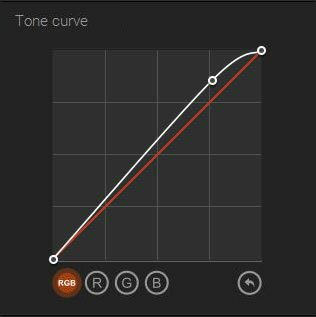 But the real power of the Tone Curve tool lies in its ability to adjust as many points on the curve for each available channel as you want — both for luminance as well as for color. Here is an example of what one can achieve. All channels were modified to achieve this rendering. button underneath the curve to reset everything. 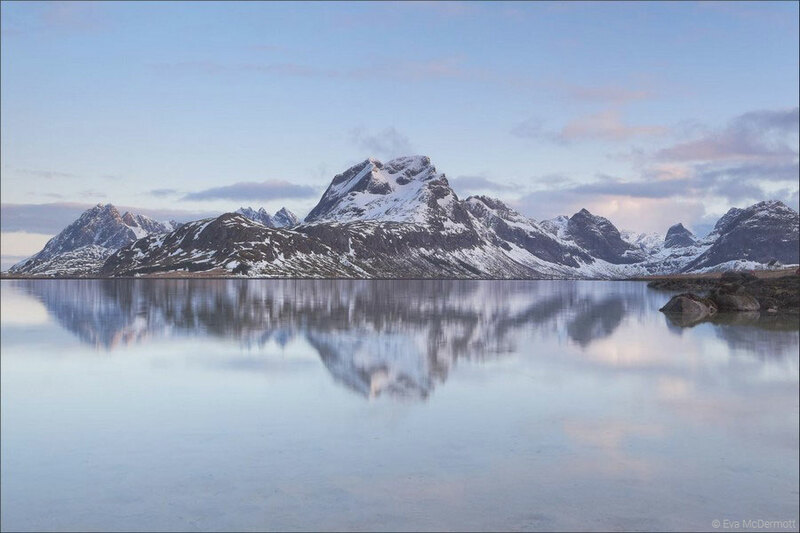 In this part, we will see several possible versions showing different ways to develop this photo. Correcting the exposure consists in increasing or decreasing the overall tones in the image. 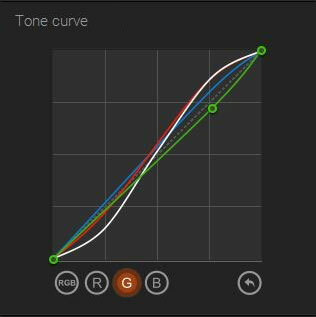 With the Tone Curve, simply select a point on the curve and move it higher or lower, depending on the result that you would like to obtain. Click in the middle of the curve to place a point, and then move it vertically upwards. 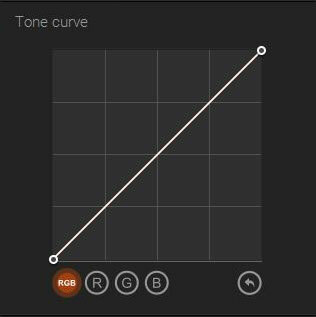 We have chosen the middle of the curve: this exposure compensation is therefore obtained by increasing the tones of the midtones. This time, select a point in the bottom quarter and bring it up slightly in order to first brighten the darkest areas. To preserve the dark areas, do the same thing in the upper quarter of the curve. 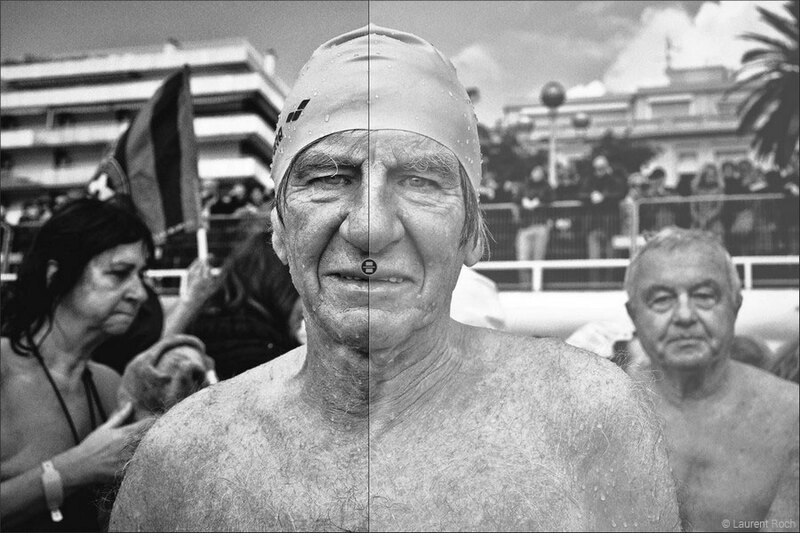 Depending on the tones you correct, the rendering can vary widely. To go further, let’s continue with the last case and decide to preserve even more of the darkest tones. 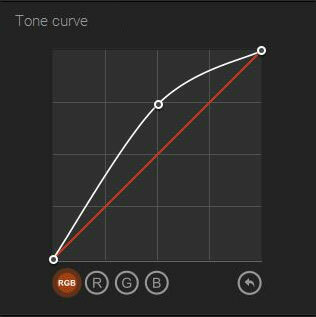 The curve shows that even the dark tones are brightened because the red channel curve appears. Select a second point in the center of the curve, and move it down to the same level as the initial diagonal. This way, the lighter tones are brightened in a uniform way without affecting the dark tones. The same as for exposure, DxO FilmPack has a Contrast tool dedicated to correcting the overall contrast of an image. 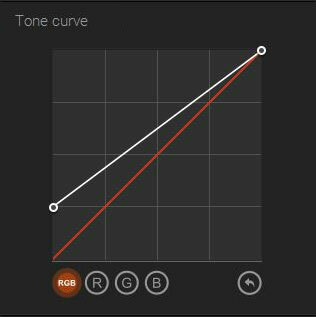 As with the Tone Curve, you adjust the Contrast tool by setting the light and dark tones separately for optimal results. To increase the contrast, you must brighten the light tones and/or darken the dark tones; the two simultaneous actions can be done independently, thanks to the Tone Curve. 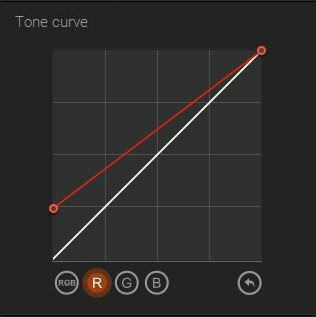 Start by taking a point in the Tone Curve in the upper quarter and moving it upwards; similarly, take a point in the lower quarter and move it down. This way you will achieve an S-curve profile and a much more contrasted image. You will see that the settings for the dark and light areas are essentially independent. In order for them to be completely independent, adjust a point set in the middle of the curve. 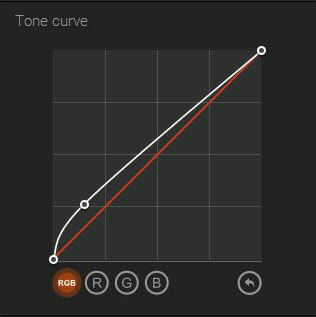 Use the curves that correspond to the Red, Green, and Blue color channels to adjust the colors in your photo. In our example, we are going to bring out the red and reinforce the blue in the image. 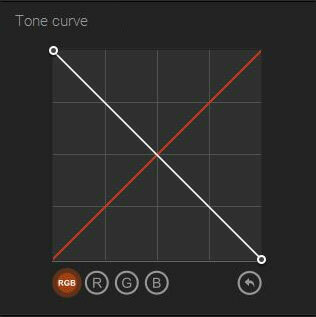 Select the Red channel in the Tone Curve; the areas in which the red appears in the image are light: these are the areas that we want to bring out. 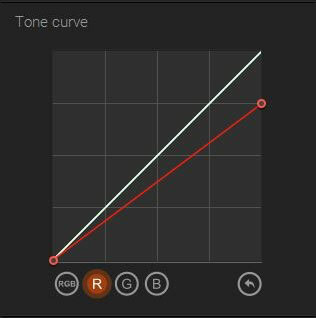 So choose a point in the curve among the light tones and move it upwards; then to compensate for this correction among the dark areas, slightly reduce the red in that part. Next, select the Blue channel and slightly increase the color in the light tones. Finally, select the Green channel. This time we are going to decrease the green in the light areas in which we want to reinforce the blue and the red. At the same time, boost the darkest tones a little, as they were made a bit darker by these operations. In color photos in particular, adjusting curves by channel must be done with great care and only in small steps so as to avoid an unsightly color drift. The same principles apply to black & white photos, although here we will see some very specific settings. You can work from either a RAW file or from a JPEG file; with either one, you will start by converting from color to black & white. Move the black point slightly upwards to give an anthracite gray look to the black tones, thus achieving a matte effect; also move the point toward the right to extend the black area and thus limit the loss of contrast. Shooting must obviously be planned for this type of processing, but thanks to the Tone Curve tool, you can give your photos a rendering that approaches that of a true Low Key shot, which requires bringing out the light areas in a dark photo. Low Key is a shooting technique for obtaining an image whose tones are mostly dark, but with a dynamic that provides contrast and nuances among the gradients. (Chiaroscuro is an example of Low Key.) The same shooting technique is used for High Key for dominant light tones. Here we will strengthen the dark tones and rebalance them to match the light tones so as to preserve the light on the face. As with a color photo, use the Red, Green, or Blue channels to produce a color toning; you will need to carefully measure the amplitudes of the settings. 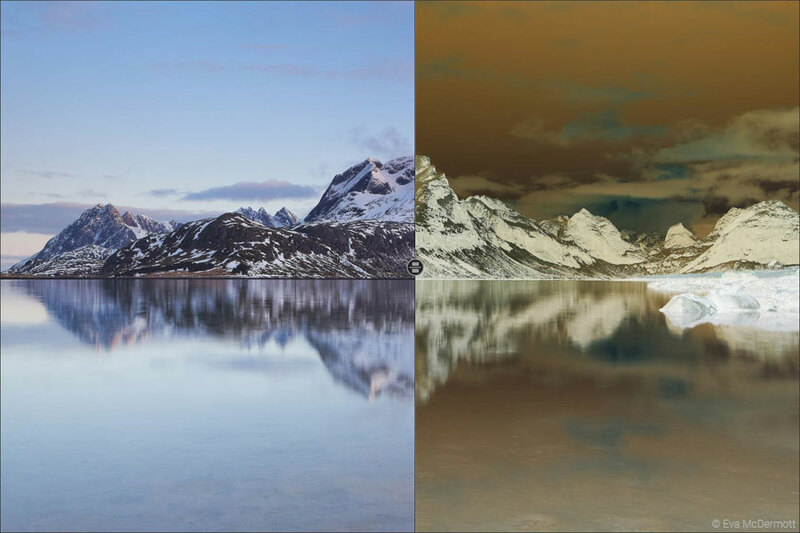 For example, for a sepia rendering, select the Red channel and increase the color in the darkest tones, and then adjust the color in the light tones. For a less warm rendering, select the Blue channel and add a little of this color in the darkest tones.nced settings. Here we are working mostly with the darkest tones, because those are the dominant ones in this photo; you will need to adjust the settings depending on the tones in your photo. You can also select a different color among the light tones rather than the one chosen from among the dark tones. 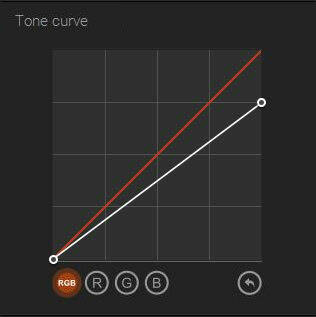 As with Low Key, achieving this effect necessitates using specific settings when shooting, but the Tone Curve will help you obtain an effect that is close to this kind of rendering. This lighter photo is suitable for this exercise. Set the white point to extend the range, but by decreasing the intensity of the tone; then strengthen the black range to give more contrast to the eyes and dark hair, and finally, lighten the background to make it merge with the model.